According to university researchers the pollen found in the Turin Shroud corresponds to that of flowers used for funerals in Asia Minor 2000 years ago. 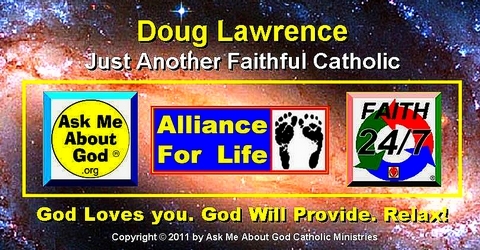 Shroud of Turin: Creation of image required amazing, unobtainable, 34 thousand billion watts of VUV power. It is this observation, “coupled with the extreme superficiality of the coloring and the lack of pigments” that “makes it extremely unlikely that a shroud-like picture was obtained using a chemical contact method, both in a modern laboratory and even more so by a hypothetical medieval forger”. “There is no image beneath the blood stains. This means that the traces of blood deposited before the image was. Therefore, the image was formed after the corpse was laid down. Furthermore, all the blood stains have well-defined edges, no burrs, so it can be assumed that the corpse was not removed from the sheet. “There are no signs of putrefaction near the orifices, which usually occur around 40 hours after death. Consequently, the image is not the result of putrefaction gases and the corpse was not left in the sheet for more than two days”. In this interview with ZENIT, Badde explained some of the conclusions of his research on this veil, and why he thinks it is bound to change the world. ZENIT: Some have referred to the Veil of Manoppello as belonging to Veronica, and having the image of Jesus’ face from before the Crucifixion. Your investigation, however, led you to a different conclusion. Could you clarify what this veil is? Badde: This veil has had many names in the last 2000 years — maintaining only its unique character in the same time. It is, in fact, “the napkin” or “handkerchief” (in Greek: soudarion), to which St. John the Evangelist is referring in his report of the discovery of the empty tomb by St. Peter and himself, that they saw “apart” from the cloths (including the shroud of Joseph from Arimathea) in which Jesus had been buried. This napkin, St. John says, had originally been laying upon the Face of Jesus. This veil had to be kept completely secret right away — together with the Shroud of Turin — in the first community of the Apostles in Jerusalem due to the ritual impurity in Judaism of everything stemming from a grave. And it remained secret for many centuries. This explains why it had been bearing many different names in the course of history after it appeared in public some hundred years later in the Anatolian town of Edessa for the first time. Among all these different names are for instance: The Edessa Veil, The Image or Letter of King Abgar, The Camuliana Veil, The Mandylion, The Image Not Made by Man’s Hand (in Greek: acheiropoieton), The Fourfolded Veil (in Greek: tetradiplon) or — today — The Holy Face (Il Volto Santo). The “Veil of Veronica” is just another name of all those that meant altogether this very veil in Manoppello. 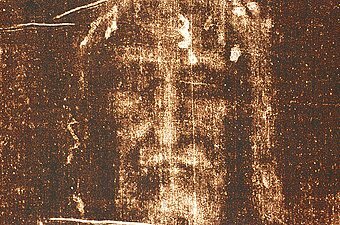 Shroud of Turin a ‘radiation photo’ of resurrection? For instance, the authors noted the Shroud’s frontal and dorsal body images are “encoded with the same amount of intensity, independent of any pressure or weight from the body,” such that the bottom part of the cloth that bore all the weight of the crucified man’s supine body is not encoded with a greater amount of intensity than the frontal image. “Radiation coming from the body would not only explain this feature, but also the left/right and light/dark reversals found on the cloth’s frontal and dorsal body images,” the authors note. In arguing that the source of light that created the body image on the Shroud came from within the body, the authors observed that “neither the outside or inside of the tomb, nor the outside or inside of either the front or back sides of the cloth” are found on the Shroud’s image.